It’s a fact that playing video games is one of the most popular forms of entertainment today for both kids and adults worldwide. Statistics can prove it. In 2013, for example, Nielsen revealed that gamers in the U.S. aged 13 and older spent 6.3 hours every week playing video games. This figure was up from 5.6 hours in 2012. Among the systems most frequently used, the personal computer was beaten by Xbox 360, PS3 and Wii. Mobile phones were on third place followed by tablets. While many people are now so fond of these video games, perhaps only some know how they were created. In fact, many would immediately credit the game designer for the graphics they see. But did you know that a game writer also plays a vital role in these games? This only means that the high demand for game designers also applies to these game writers. After all, there won’t be any game to do graphics for if there’s no story in the first place. And with game consoles becoming more advanced these days, there is a need for more in-depth video game script to enable people to enjoy more engaging gaming experiences regardless of the device they use. Aspiring game writers should not have difficulty finding work online as they can visit various jobs websites including the pro blogger jobs. So how does one become a video game writer? There are many factors to consider including one’s passion for gaming, writing and using his or her imagination. To be an effective and successful video game script writer, one has to have a love for writing. You need to have the right writing skills and should be able to express your ideas in a clear and organized manner. Creativity is as important. This will be useful in creating a different and unique world or environment that will captivate gamers. If you have noticed, while some games feature futuristic or out of this world environment, they still have similarity to the real world. 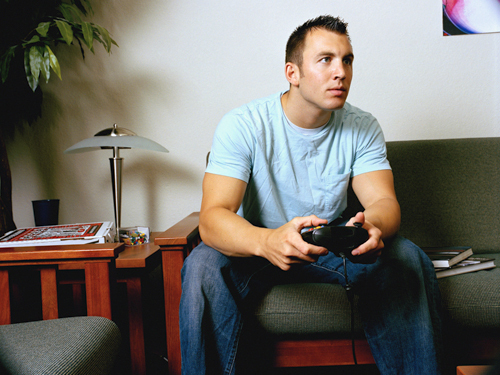 A love for playing video games is another requirement. You should be able to easily understand the mechanics of a game and identify a good story. If you’re still a newbie to video games, it would be a good idea to spend more time playing, getting to know the characters, determining how the new world is presented to you as a player and learning how the dialogue flows. In addition to playing, you also need to read more good books and watch movies. And if something related to games pops up on your mind, do write down your ideas in a notebook so you could go back to them later on. Don’t hesitate to talk with people who are successful in writing games. You can attend conferences where the speakers are game writers and follow them on social media. Do engage with them as well on social media but remember to do it professionally and with respect.